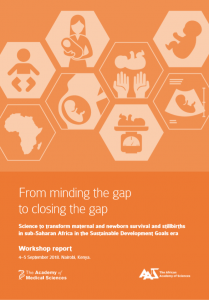 Nearly 2,100,000 babies were born in Tanzania in 2015, with 38,600 of these babies dying in their first month of life (a neonatal mortality rate of 25 per 1,000 live births); in addition, there were nearly 47,100 stillbirths and 8,200 maternal deaths (a maternal mortality ratio of 556 per 100,000 live births).1 With all eyes focused on achieving the Sustainable Development Goals (SDGs), Tanzania is looking to accelerate efforts to improve outcomes for women and babies. 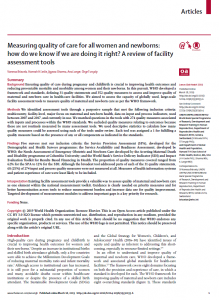 There is global consensus that accurate information about causes of death through mortality audits is needed to help inform efforts to end preventable maternal and perinatal deaths. 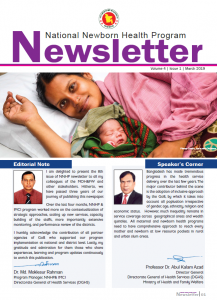 The Ministry of Health, Community Development, Gender, Elderly and Children (MOHCDGEC) and the United States Agency for International Development’s (USAID’s) Maternal and Child Survival Program (MCSP) aimed to document experiences to date in implementing maternal death review, perinatal death review, and/or integrated maternal and perinatal death surveillance and response (MPDSR) processes in Tanzania. 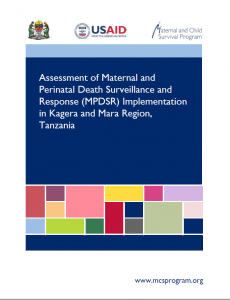 The study sought to identify factors that have affected the uptake and sustainability of implementing MPDSR systems to improve the quality of care and to prevent future deaths. 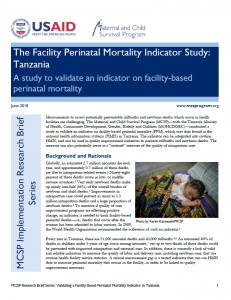 Tanzania was one of four countries selected by MCSP as part of a multicountry assessment of MPDSR processes at the subnational level.